It seems like I've been using a lot of buttercream frosting lately. But I've never published my basic buttercream recipe here. So, here we go. This recipe makes more than enough to frost a layer cake, but it's always best to have more than you need, right? You can refrigerate the leftovers, and use them on something else. I'm not sure how long it lasts before it goes wonky - I'm always able to find a use for leftovers ... including putting it into ice cream. This recipe will dry to form a somewhat hard surface, so it was great when I wanted to airbrush the cupcakes in that top photo. When I used it for the cookies and applied a very thin layer, it hardened most of the way through. Not hard like royal icing, but hard enough so the cookies could be handled. Beat the butter/shortening (your stand mixer fitted with the paddle attachment is easiest, or use an electric hand mixer) to make sure it's soft, then beat in the sugar (a little at a time, so it doesn't fly all over the place!) and the salt until all the sugar is incorporated and you have a smooth mixture. Add the vanilla and beat well. Add the milk, a little at a time, until you reach the consistency you're looking for, depending on your intended use. If you're planning on piping, it needs to be soft enough to run smoothly though the piping tip, For frosting cookies, it just need to be thin enough to spread easily. Continue beating until the frosting is fluffy rather than dense. If you mess up and it gets too thin, you can add more powdered sugar. *Butter tastes better, but shortening holds up better in the heat and tends to give you better crusting/hardening, if that's important. For flavor and holding power, half butter and half shortening works well. If you need a bright white frosting, shortening will give you that. If you want the lightest-colored frosting possible using butter, use an unsalted butter - they tend to be lighter in color than salted. For no good reason. Or check out different brands. Some of them are lighter than others. ** I prefer pure vanilla extract, but if you need a bright white frosting, you can use the clear artificial flavoring instead. Also, you can add other flavors. For an almond-flavored frosting, use 1 teaspoon almond extract and 2 teaspoons vanilla extract. If you use other flavors, start with less and add more until it's right. Some flavors can be pretty strong, so you don't want to add too much. If you prefer the flavor of cream cheese frosting, it's pretty simple. This frosting is less sweet, because there's more of the cream cheese/butter component in relation to the sugar, when compared to the buttercream frosting. Beat the cream cheese and butter until it's smooth, then add the vanilla extract and beat until it's incorporated. Add the powdered sugar in increments until the mixture is the consistency is what you're looking for. If you need less sugar, that's fine. If you somehow manage to get it too thick, add a little milk or cream. *The cream cheese you choose does make a difference. I've tried making frosting with fat-free cream cheese, and I thought it tasted terrible. If you like it, go for it. BUT! The brand and type of cream cheese will affect the consistency of the frosting. You might need more or less sugar to get to a nice frosting-like consistency. Frosting isn't something that needs to follow an exact formula. It's all about flavor and consistency. If you look online, you'll find lots and lots and lots of variations when it comes the proportion of fatty substance to sugar. You can't go too far off the beaten path or you'll end up with something that will drip instead of spread. But within a pretty wide range, you can adjust the frosting to your taste, adding more or less sugar, more or less butter, or more or less additional liquid. So, if you want to start with 3/4 cup of butter and just a little cream cheese, that's perfectly fine. As far as flavor goes, you can use less vanilla (I tend to use more than most folks) or find some other interesting extracts. Add maple syrup or a splash of bourbon. 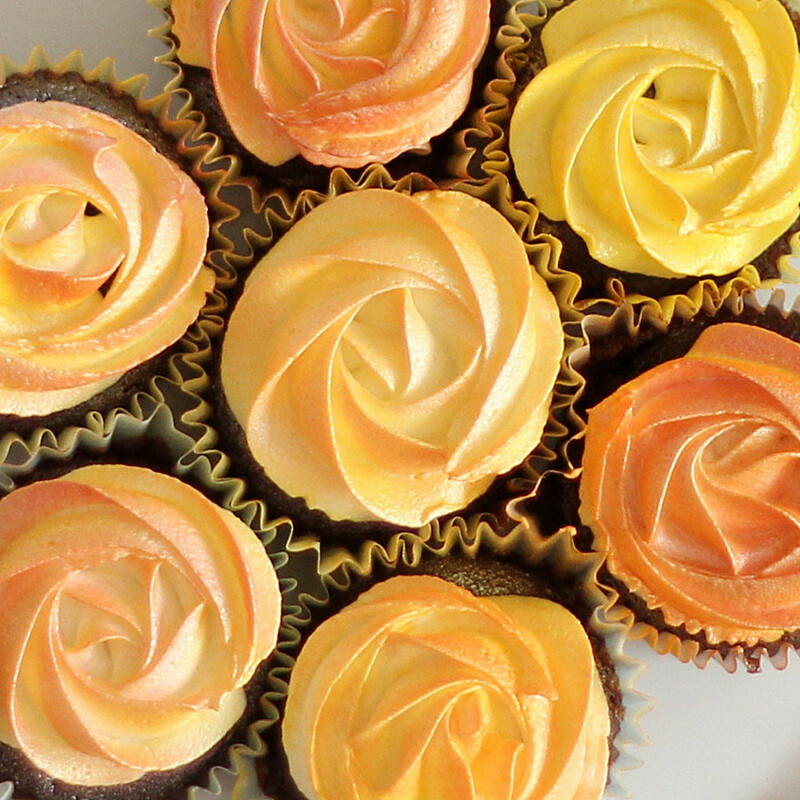 Just taste and adjust until you have a flavorful frosting with the right consistency for piping or spreading.